Before writing a blog post I always ask the Lord what would be an encouragement to my readers. Today I had a few moments to write and I felt Him tell me to write to the woman who is struggling with her appearance. I could take so many angles on this post since I have been through thick and thin in this area(literally) but I felt Him lead me to write a letter to my 15 year old self. Before you read this letter you need to know that I was a very overweight and plain Jane child. I spent my free time eating Snickers and powdered donuts all while watching TV. I wore nothing but athletic clothes and never fixed my hair. When I was in high school I got injured and had to quit playing sports. My doctor told me I couldn't play anymore and let me know I would need to watch what I was eating so I didn't become even more overweight. I started by simply cutting out sodas and candy and dropped 30 lbs in a month. That was it....I was hooked. I never realized what you ate effected what you weighed or looked like. I loved the attention and became addicted to losing weight. It became an obsession, almost a hobby if you will. Not only was I addicted to this way of life but I was terrified of going back to being overweight....or as I like to call it I was "scared skinny". From diet pills, to starvation, to working out late at night, I did it all. You are beautiful. Not just beautiful on the outside but so beautiful on the inside. I knit you together perfectly in your mother's womb. I did not create you to live a life full of fear and worry but instead of joy and freedom. I carefully chose your dark brown hair, blue eyes and olive skin tone. I even gave you an athletic build that will one day be used to inspire others to be strong and physically fit. You have a unique gift on your life that only YOU can fulfill. You also have an enemy, satan, who sees these gifts in you and is terrified of them. Because he is terrified of you he will use small things to detour you from walking out your destiny. 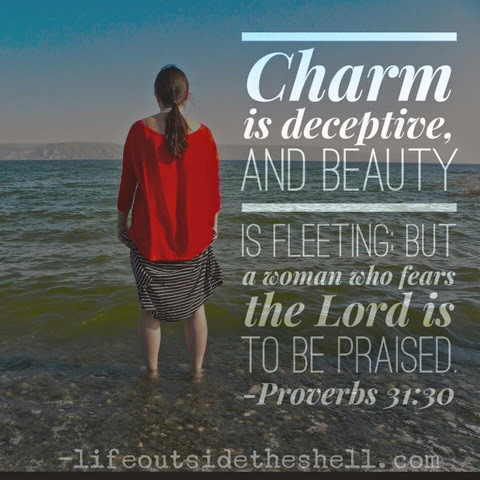 He will try to get you to believe that if only you could be thinner, more beautiful, or look just like someone else then you will be happy and successful. But that is a LIE. Please recognize his voice and turn away from it and towards my voice. Here is the truth: you are perfect the way I made you. I am not capable of making mistakes. If you have to change who you are or what you look like to be accepted by someone then that person was never meant to be in your life. I will complete the good work that I have began in you. It grieves me to see you and my other girls rejecting who I created them to be. I have plans to prosper you and not to harm you, plans to give you hope and a future. You will be a world changer, paving the way for generations to come. Take a step of faith in being the change you want to see in the world by simply embracing yourself. I have already embraced you right where you are. I love you and am so proud of you. P.S. I have also created a man specifically for you who will be attracted to your God given features. Please do not try to be anyone else or you will miss him too. Will you please read the letter again but this time insert your name and any specifics God says to you? I believe this a message God has for each one of us today. No matter the age, it is easy to believe the lie that if we looked different or weighed the right amount that we would be happy. Ask God to speak into this area of your life today, He wants to speak truth over you and bring healing and freedom.